At BitCadet we strive to help our clients get the most out of their previous online investments. We spend a lot of time talking about “low-hanging fruit” with our clients. We frequently review all of the online assets and tools clients have invested in and identify ways to optimize them and derive maximum value. 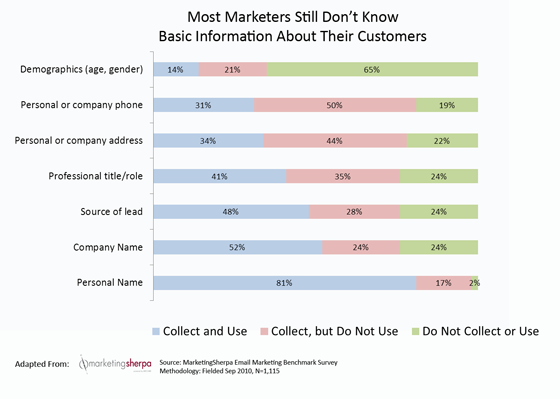 Too often clients have active e-mail marketing programs that don’t segment their subscribers based on useful segmentation categories. Segmentation begins with the sign-up form. Whether you’re asking for gender, location, interest or any other variable, the sign-up form is the best place to simply ask your subscriber for this information. 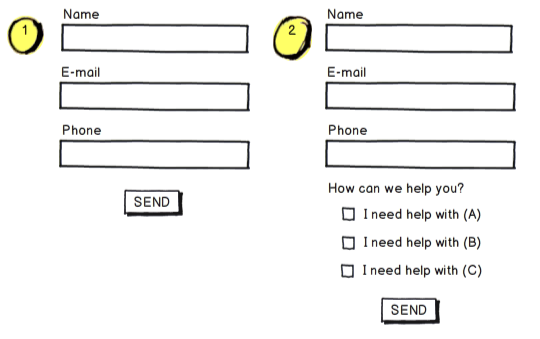 Below is an illustration of a sign-up form with no segmentation (1) and a simple segmentation based on interest (2). The first form sends all users to the same list and the second form segments them into different lists based on their desired interest. Once you’ve segmented your subscribers into different lists you can now send them more targeted, more relevant e-mail messages. This increases the percentage of subscribers who will open your e-mail, take action in your e-mail and continue to participate in the subscription service. But what if you already have a large list and it’s not segmented? If you’re in this situation then you can consider running analysis on your list using a 3rd party e-mail personalization company. In a recent post entitled, Why Is There a Bra in My Inbox, I outline a service you can use that will segment an existing unsegmented e-mail subscriber list for you. E-mail segmentation is a powerful tool that creates a better customer experience. There is always a balance between asking too much and too little information from your customers during a form sign-up process. Through vigorous A/B testing you can find the right form sign-up form that works for you. Ready to work with us on transforming your digital strategy? Ready to begin your company′s digital transformation? © 2019 BITCADET. All Rights Reserved.